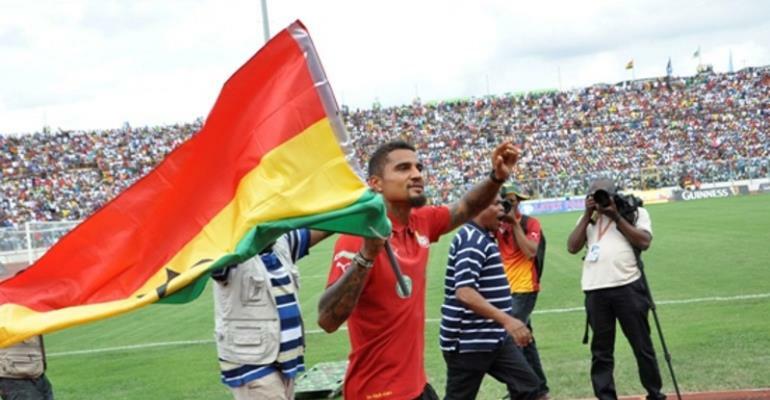 Deportivo Alaves midfielder, Mubarak Wakaso has insisted that Kevin Prince Boateng must be named in Ghana's squad for the 2019 Africa Cup of Nations Egypt. The 31-year-old who joined Barcelona in January has enjoyed a consistent run of form spanning from his days at Las Palmas through to Eintracht Frankfurt and Sassuolo. With his experience and hard work, Deportivo Alaves midfielder Mubarak Wakaso believes Ghana will need the offensive midfielder to win the AFCON trophy. “We really need him. I can’t talk too much about it but we need him. “For the past two years he’s been phenomenal and as we can see, he’s been a different player. He’s back to his former self,” he added. The Sassuolo loanee and Sulley Muntari were thrown out of the Black Stars camp during the 2014 World Cup in Brazil for acts of insubordination. Sulley Muntari has since apologized for his acts following a directive from a Presidential Commission of Inquiry set up to investigate Ghana’s poor outing at the World Cup. Kevin’s return into the team is however based on his apology to the whole nation as directed by the 2014 Commission of Inquiry.